Nothing is more important than your and your family’s good health. Zovio recognizes that you have different needs when it comes to your medical plans. That’s why we provide you with plan choices that help you and your family achieve optimum health. We offer you the choice among three medical plan options. Or call the Cigna Pre-Enrollment Line at 800.401.4041, 24 hours a day, 7 days a week. Learn more about mycigna.com, your post-enrollment health plan resource. View a side-by-side plan comparison. The Cigna Choice Fund medical plans pair a Consumer Driven Health Plan (CDHP) with an account to help pay for some of the costs of eligible health care expenses. You’ll be responsible for an annual deductible before the health plan begins to pay for certain eligible expenses. For the 1500 Copay Choice Fund HRA, some services require only a copay and don’t require you to meet the annual deductible first. Once your deductible is paid, you’ll pay a percentage of the cost (coinsurance) for your covered health care expenses. The account helps pay your coinsurance, prescription costs and your deductible. The CDHP plans have a non-collective family deductible, which means that once an individual in a family has met the “individual in a family” deductible, covered expenses for that family member will be paid at the coinsurance level specified by the plan. They also have a non-collective family out-of-pocket maximum (OOPM), which means that once an individual in a family has met the individual OOPM, their covered services will be paid in full. Each year, Zovio puts money into your account. These funds can be used to cover health care costs that are eligible under your health plan, including deductibles, coinsurance and prescription drugs. You can also contribute pre-tax dollars if you are enrolled in the Cigna 2000 Choice Fund PPO with Health Savings Account (HSA). With the Choice Fund Copay HRA plan, you will pay set copays for certain in-network services like office visits and chiropractic care. You do not need to meet your deductible before copays apply. After your visit, Cigna gets a bill. Cigna sends you an explanation of benefits (EOB). It shows how much you owe for your health care services. If you previously paid a copay, there will nothing else owed. Cigna sends you an explanation of benefits (EOB). It shows how much you owe for your health care services. Starts with a Health Savings Account (HSA), established through Zovio with HSA Bank, that you and Zovio can put money into. Did you know that you could visit a convenience care clinic for routine care when your doctor isn’t available to see you? Learn more about services and locations. It is important to be an informed consumer, especially with your prescription drug options. The Cigna medical plans include prescription drug coverage. With Cigna, you have access to more than 57,000 in-network pharmacies nationwide. Cigna Choice Fund plans with HRA: no deductible applies to your prescription drug coverage. 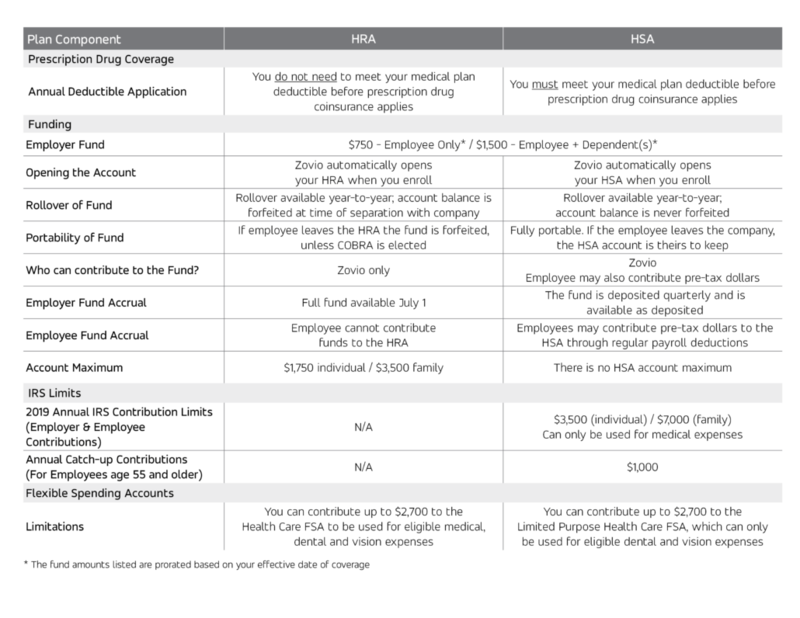 Cigna 2000 Choice Fund plan with HSA: you must meet your medical plan deductible before coinsurance applies. If you take maintenance medications for conditions such as high blood pressure, asthma or diabetes, Cigna’s Home Pharmacy is a convenient option! Choice Fund Plans – Free Generic Preventive Prescriptions! Preventive medications are used for the prevention of conditions such as high blood pressure, high cholesterol, diabetes, asthma, osteoporosis, heart attack, stroke and prenatal nutrient deficiency. You may not have to pay a copay, a coinsurance and/or a deductible for preventive medications. The Cigna DPPO offers 4 in-network covered cleanings per year!